I’ve been pretty set in my ways over the past year using my tarte Lights, Camera, Lashes mascara. I received it as a gift for Christmas at some point, and fell in love. Prior to this, I had ONLY ever used the L’Oreal Voluminous mascara. Literally since the first moment I started wearing mascara, this is all I’ve ever liked. 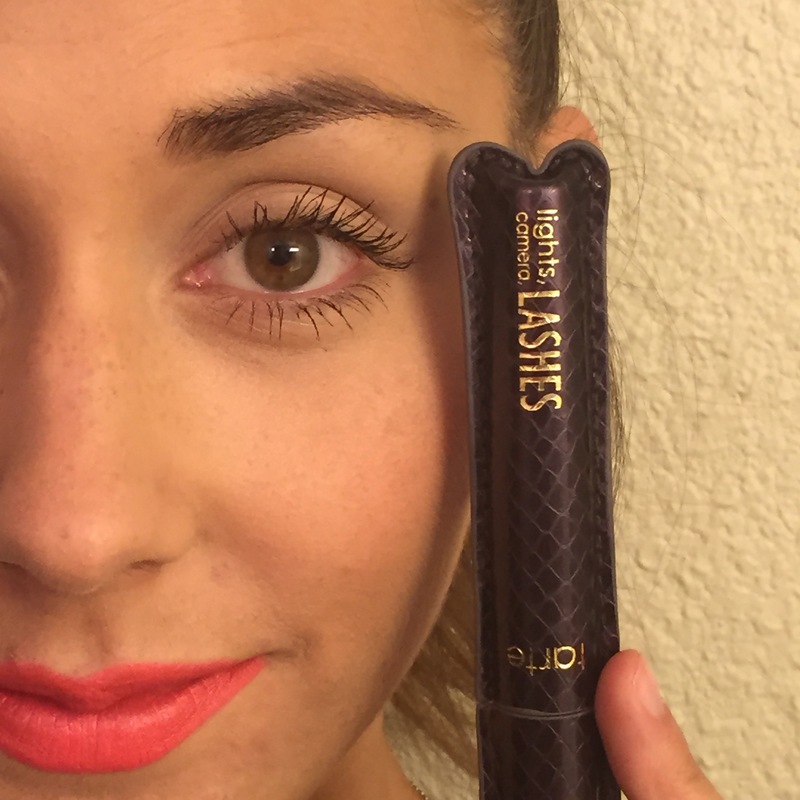 However, I can officially say I have found a new mascara that I might possibly like more! 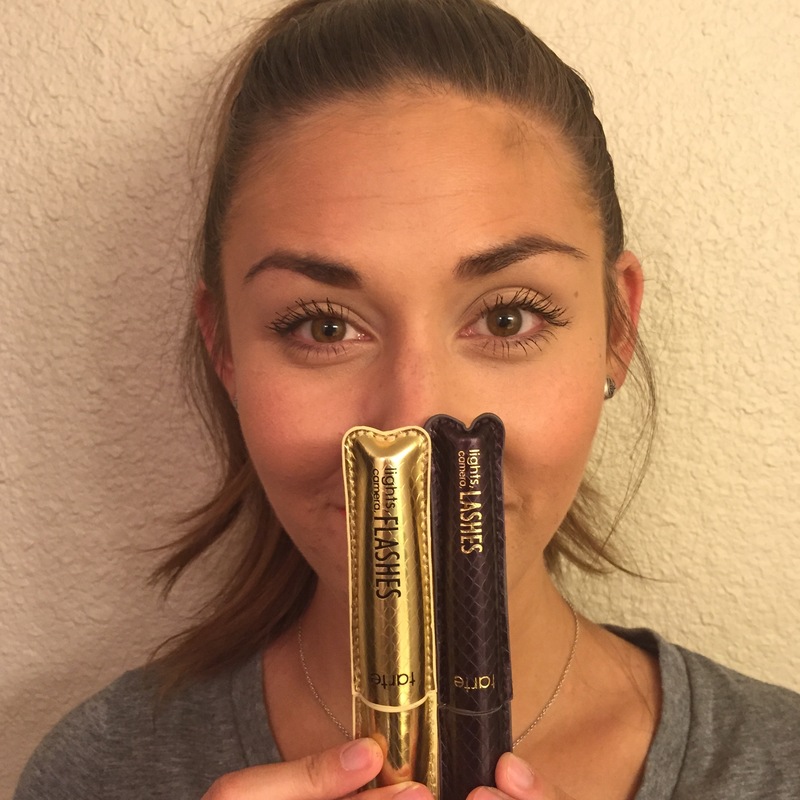 So tarte has these two mascaras: Lights, Camera, Lashes and Lights, Camera, Flashes. I have been meaning to pick up and try the Flashes for awhile since my best friend raved about it and says she likes this one better. And like the wonderful friend that she is, she sent one to me in my birthday package. How perfect! Now I can finally try it out and compare the two. For my comparison, I put two light coats of each on. I love these because two quick coats is perfect. I feel like any of the other mascaras I’ve tried in my lifetime, I’d have to put what felt like a million coats on. And still I was never really happy with how they looked. So I always stuck with my L’Oreal. So first of all, the mascaras are both wonderful. They don’t clump all over my lashes. They both go on with the perfect amount, smooth and easy, no chunks. Honestly the only main difference that I can tell is the brush. The Lashes one has a straight wand with pretty short bristles. And the Flashes has a very slightly curved wand with two different type of bristles. One side has more dense bristles to really coat the mascara onto the lashes, and the other side’s bristles are longer and are spaced further apart to help separate the lashes. 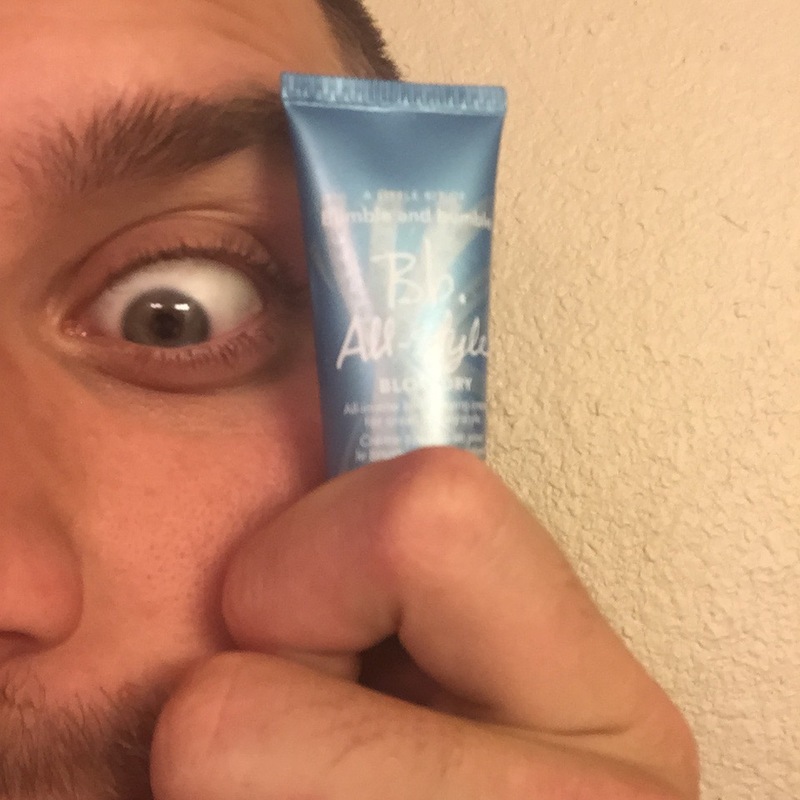 I really had to look closely to see the difference so I’m not sure I did it exactly as the directions say to apply it, but either way it’s fabulous! They both say they condition the lashes, which honestly might work because I have noticed since using this that I’ve been losing less lashes. I feel like I used to have loose ones relatively often and that definitely doesn’t happen as much anymore. 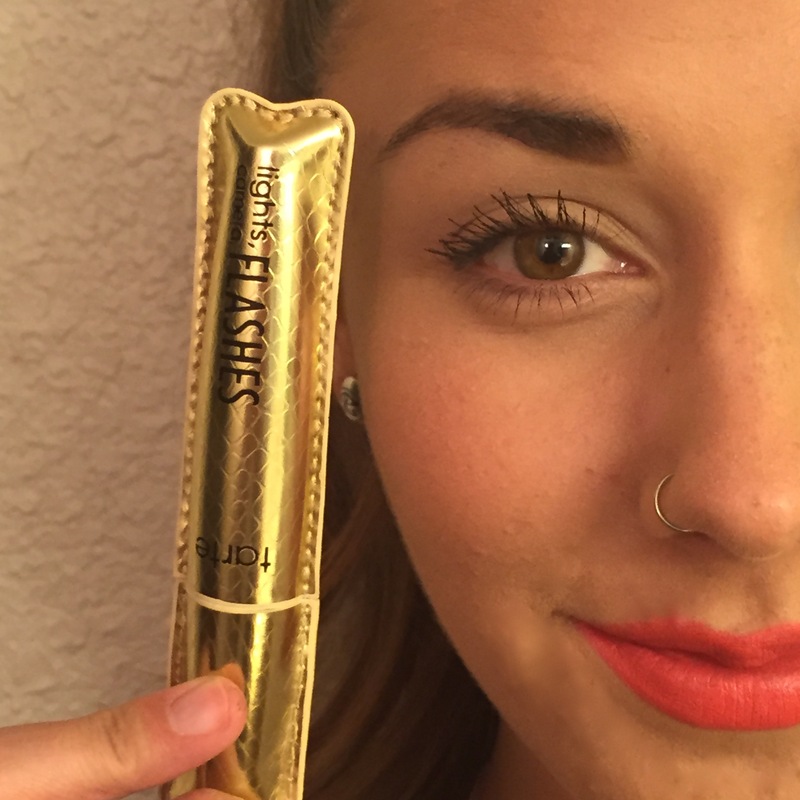 So not only does tarte have the fanciest packaging, they also have a fabulous mascara inside! I don’t know if I can really say that I truly prefer one over the other. They are both so wonderful. I’d be perfectly happy using either one! And my favorite part about having Zach help me take photos is when I end up with these beauts. He’s just a natural, ha ha! Soon I will be posting all of my April favorites and I cannot wait to share all of the wonderful products I’ve been obsessed with! Have a fabulous day! Lmao to the last pic! Thanks, girl! they’re both amazing for sure!